Pipistrelle Bats were @SpeciesofUK from 21st to 27th April, 2014. 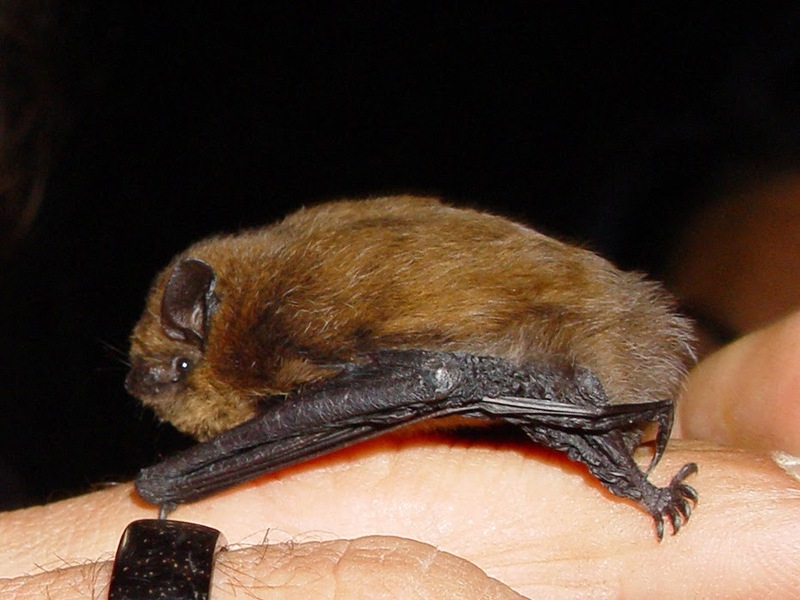 The pipistrelles are the UK’s most widespread and abundant, and also our smallest, bats. Bats are perfectly adapted to flight. Bats make up the mammal order Chiroptera. It's the second largest mammal order after rodents, containing about 1,240 species, or 20% of all mammal species. 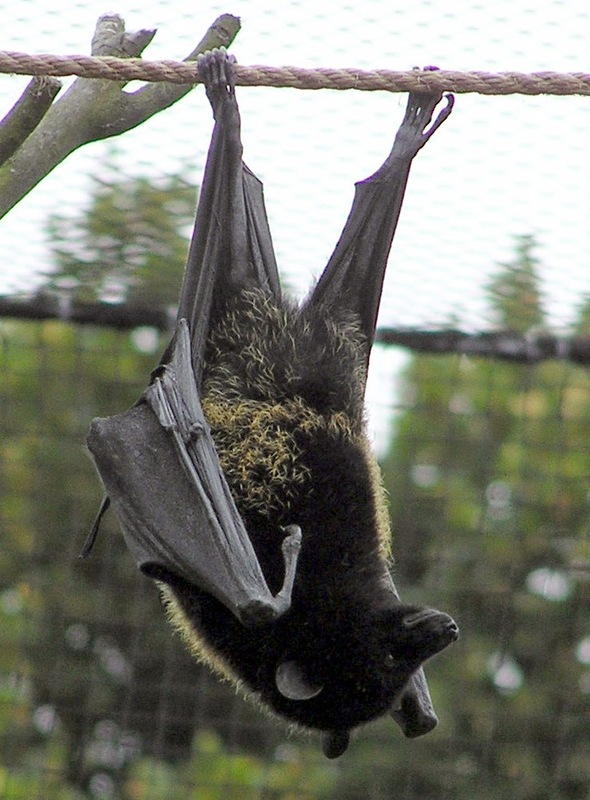 Bats are the only mammals capable of true and sustained flight. 'Flying squirrels' and the like glide rather than fly. Bat flight is very different to bird flight. Birds evolved to use their entire forelimbs for flight, whereas bat just use their digits, which are elongated and joined by a membrane. By using their digits to fly, bats have many joints in their wings giving them amazing control and making them incredibly efficient flyers. Read this excellent article explaining why bats are more efficient flyers than either birds or insects. Bats are split into two suborders. The first is the 'megabats', also called fruit bats or flying foxes. These are large, have good sight and smell but don't use echolocation. Then there are the 'microbats', sometimes called the true bats. These are smaller and use echolocation. All of our UK bats fall into this category, including of course the pipistrelles. Pipistrelles can be found throughout the UK. There are two widespread pipistrelle species in the UK - common and soprano. They're extremely similar but can be told apart by the frequency of their calls. Common pipistrelles tend to echolocate at mainly about 45 kHz, soprano pipistrelles at 55 kHz. The common and soprano pipistrelles are so similar they were only identified as separate species in the 1990s. The common pipistrelle, Pipistrellus pipistrellus, is our most common bat. There are about 2.4 million of them in Great Britain, widely distributed. Outside of the UK, the common pipistrelle has a wide range across Europe, northern Africa and south-western Asia. 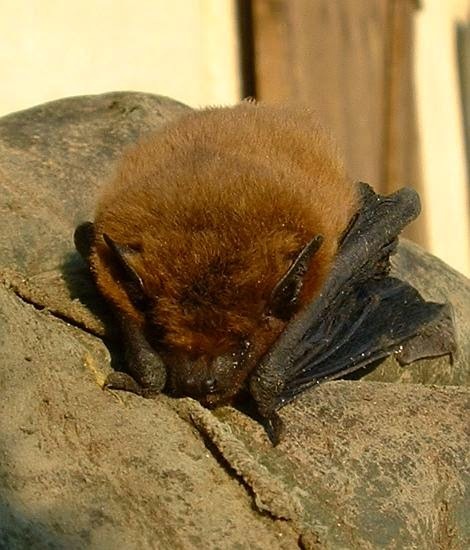 The common pipistrelle is found in all sorts of habitats - farmland, woodland and urban. It's known for roosting in crevices on the outside of buildings. Because of their numbers and habits, pipistrelles are far and away the bats you're most likely to see if you live in the UK. 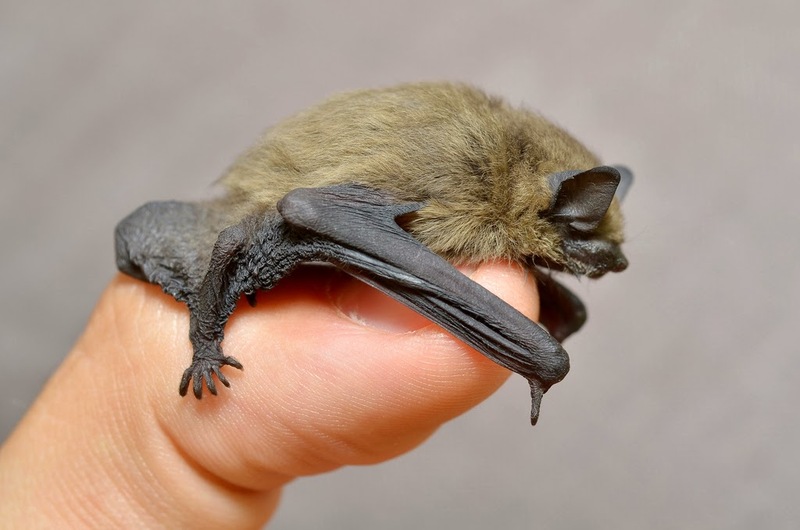 The common pipistrelle is the smallest bat found in Europe. It measures 4-5cm head to toe. Its wingspan is 18-24cm, and it weighs just 3-8g. Pipistrelles are covered in brown fur, which can vary in tone. Soprano and common pipistrelles are extremely similar in appearance. Pipistrelles often roost in our buildings. Pipistrelles roost in trees and bat boxes, but are perhaps best known for finding roosts in crevices on buildings - eves, roof tiles and cavities. Pipistrelles can find odd places to roost! 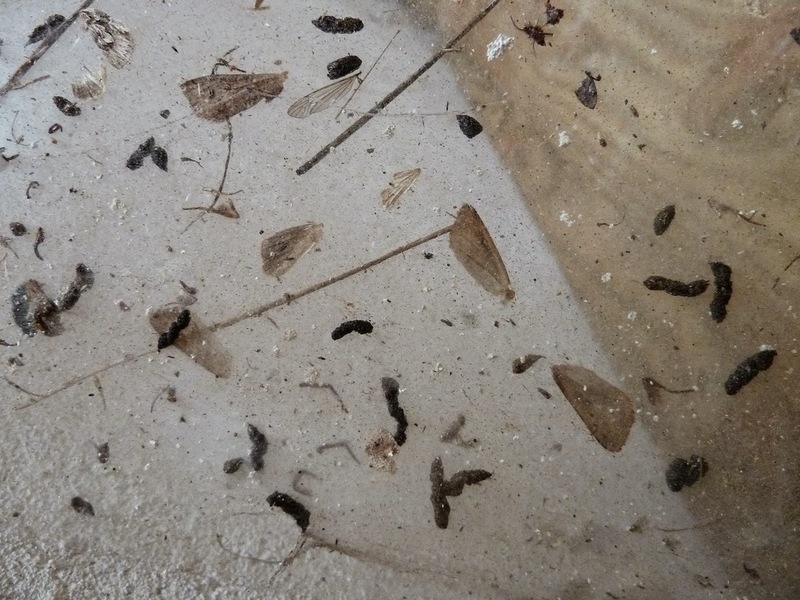 Pipistrelle roosts produce a large amount of waste (feeding remains and droppings). Summer roosts of common pipistrelles tend to contain fewer bats than soprano pipistrelles - around seventy-five bats on average. 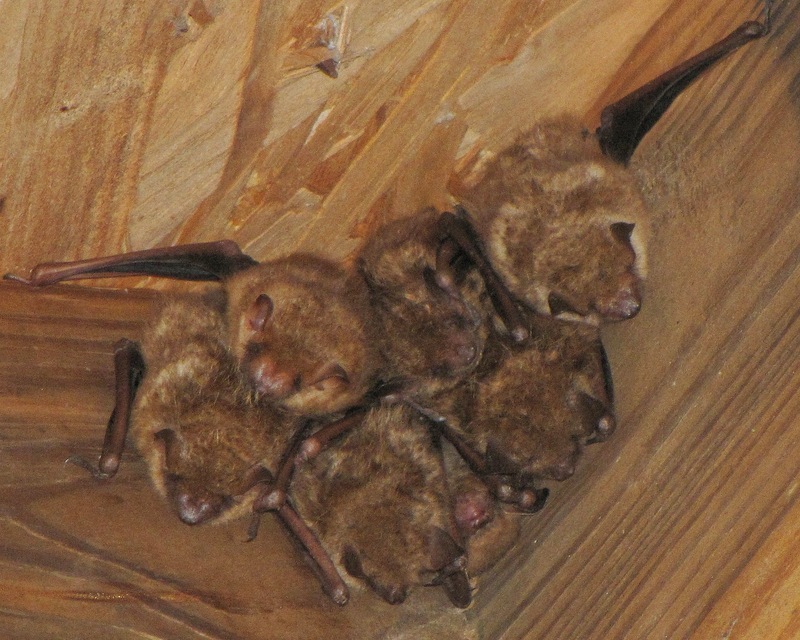 Pipistrelles, like all our bats, hibernate during the winter. They are active between March and November but start periods of torpor from October. In winter, common pipistrelles are found singly or in small groups, in building crevices, trees and bat boxes. Pipistrelles feed on small insects. Pipistrelles typically emerge about twenty minutes before dusk and eat small flies which they pursue, catch and eat on the wing, flying 2-10m above the ground. Pipistrelles feed in open spaces between vegetation, such as along woodland edges, in open woodland, suburban gardens, marshes and over water. Pipistrelles eat a variety of insects, including small moths, midges and lacewings. They can eat up to three thousand insects a night! Pipistrelles appear fast and jerky in flight. 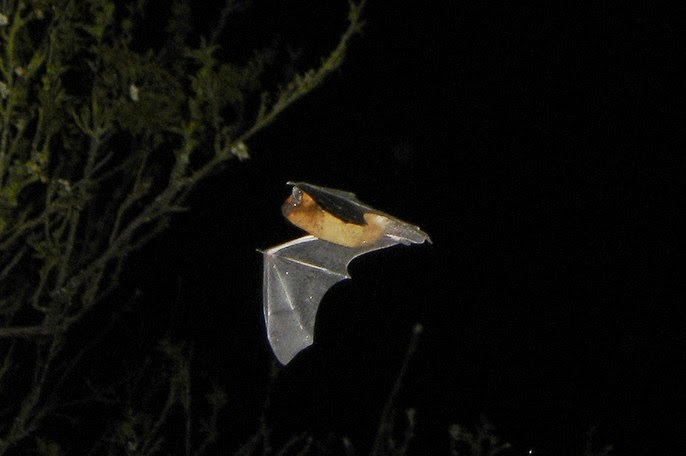 Pipistrelles, like other bats, use echolocation to get around. 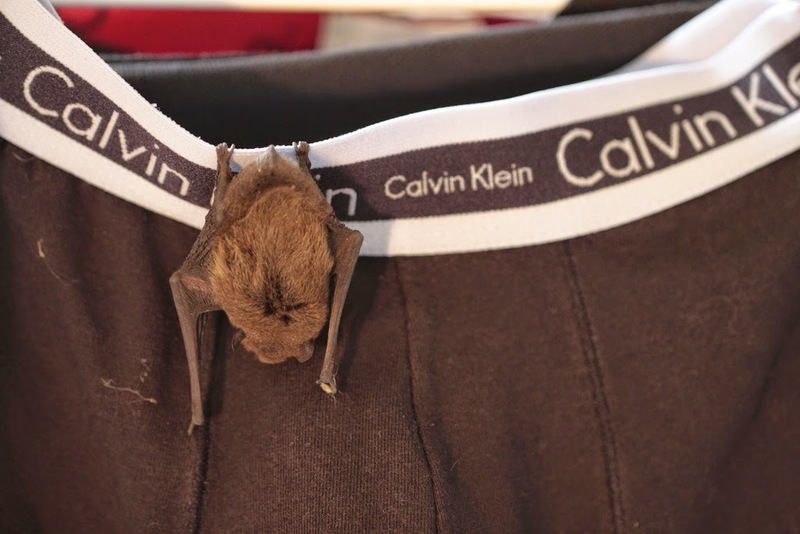 Bats are not blind as some people think. In fact they can see pretty well, but it's sound rather than sight that they most rely on. As they fly, bats make shouting sounds and then listen for the returning echoes. This is how they locate obstacles and their prey - 'echolocation'. Individual bat species echolocate within specific frequency ranges that suit their environment and prey types. 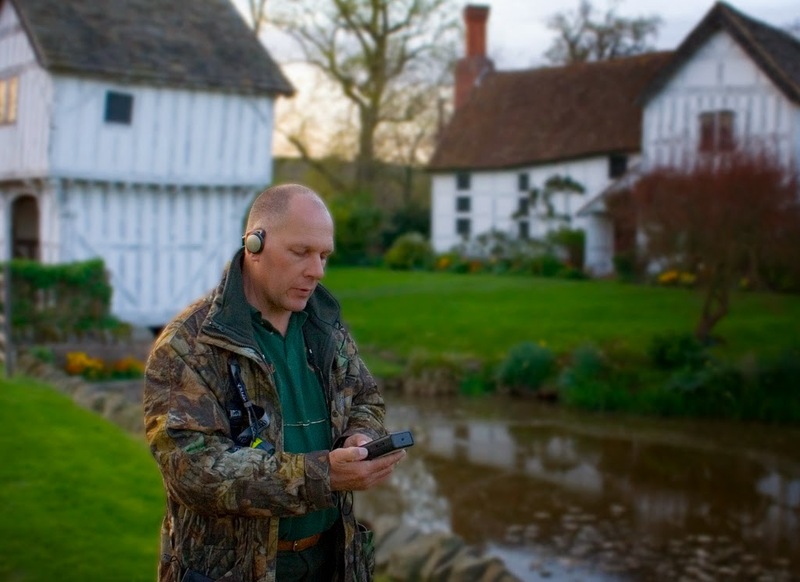 These can be identified using a 'bat detector'. 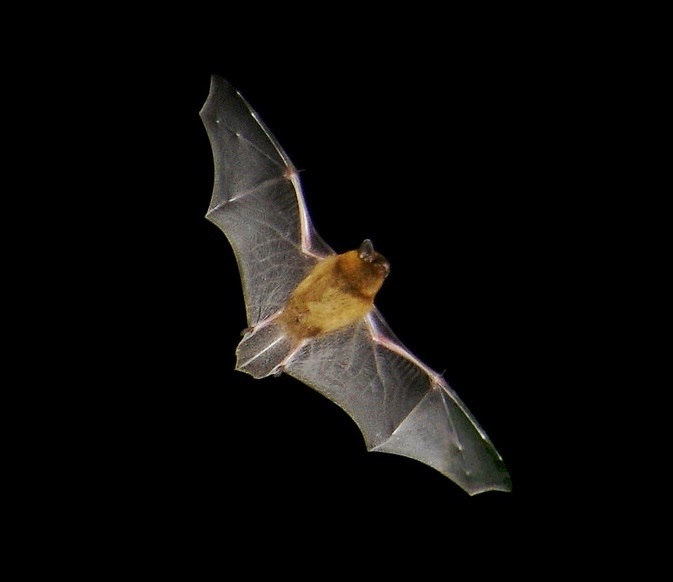 The echolocation calls of the common pipistrelle are above the range of human hearing but can be picked up by a bat detector at 45-70 kHz. The exception are the pipistrelle's social calls which may be heard by children or some adults with excellent hearing. 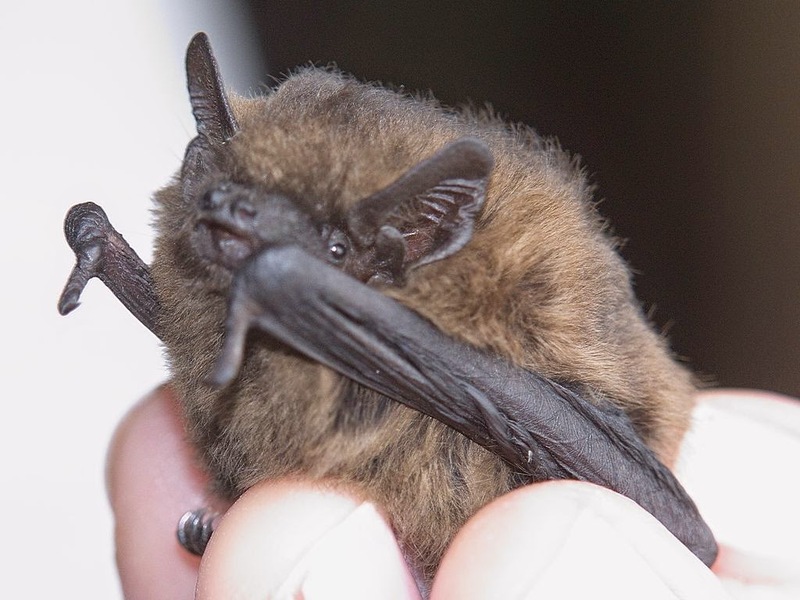 The soprano pipistrelle is identified from the common pipistrelle by its higher frequency calls - 55 to 80 kHz. Pipistrelles are able to delay pregnancy. Male pipistrelles defend individual territories in the autumn which is the mating season. They make 'songflights' to attract females. After mating, female pipistrelles store the sperm and do not become pregnant until the following spring, when the weather gets warmer. In the summer, female pipistrelles form maternity colonies or roosts from May to August. Here they give birth to a single young. 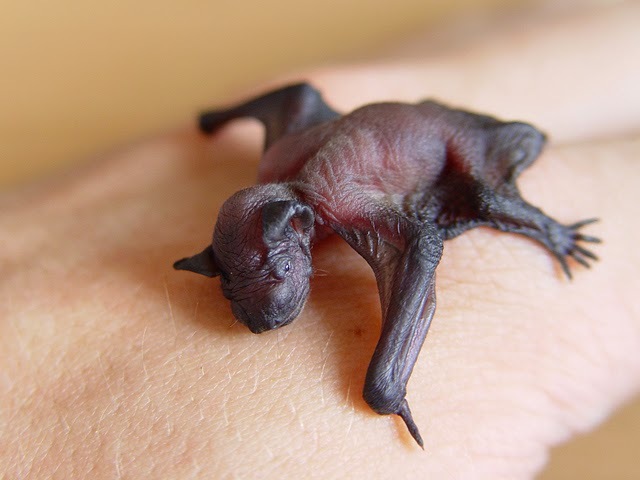 The young pipistrelle is fed on its mother's milk for three to four weeks. At four weeks it can fly and at six weeks forage for itself. All bats are extremely sensitive to disturbance during the maternity season and they can abandon their young if their roost gets disturbed. Bats are protected by law. All UK bat species and their roosts are protected by law. It's an offence to disturb them in any way or impede access to the roost. Pipistrelle populations suffered in the 20th century. Pipistrelles underwent a 70% decline in numbers between 1978 and 1993. Agricultural intensification is partly to blame, as is building modernisation. Fortunately, many common pipistrelle populations have started to show signs of recovery more recently. 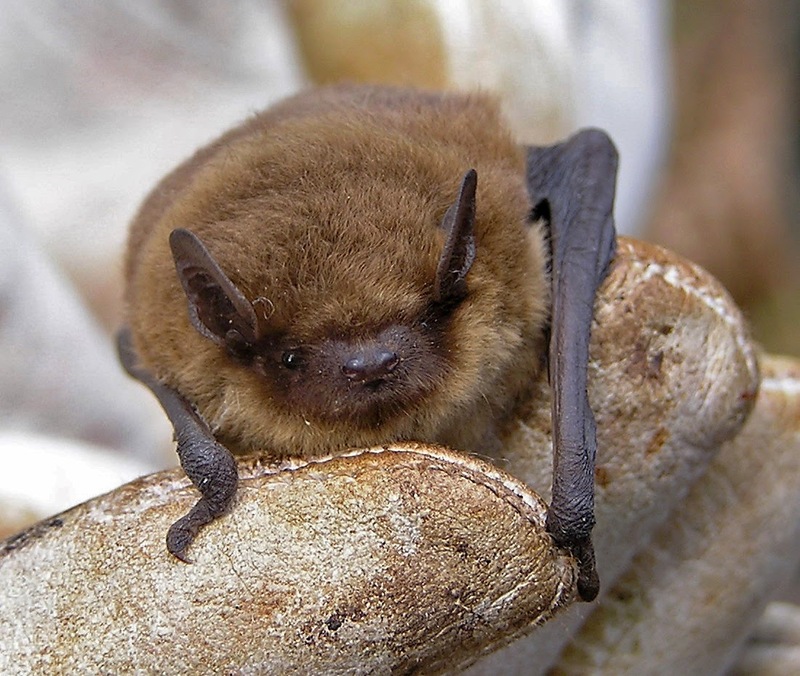 The very name Pipistrelle literally means 'bat'! Its origin is the Latin for bat vespertīliō from vesper meaning evening.